The forum focused on economic and social rights, building faith in institutions, strengthening the social contract, and the recent backlash again human rights defenders. The forum also showcased the experiences of the courageous women and men on the front lines of the fight for human rights. 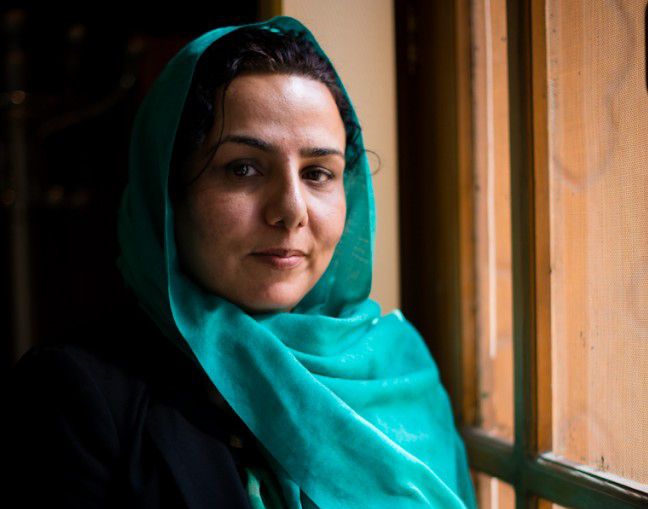 Akrami is the Executive Director of the Afghan Women Skills Development Center (AWSDC), which focuses on the needs of Afghan women, including widows and the disabled or chronically ill, and orphan children. In 2003, AWSDC established the first known shelter for women at risk in Afghanistan. She attended the Human Rights Advocates Program in 2009. Akrami has spent her career advocating and campaigning for women’s inclusion in the political and peace building processes in Afghanistan. She has been leading AWSDC in the field of women’s rights and has, since its founding, initiated community-based peace councils that provide women with a safe environment for conflict resolution. Akrami is currently on the Board of Directors for Afghan Women’s Network (AWN). AWN is a comprised of 125 women’s organizations in Afghanistan that work together to strengthen cooperation and integration of women into Afghan society.